Gamers might be especially interested in this 27" display. 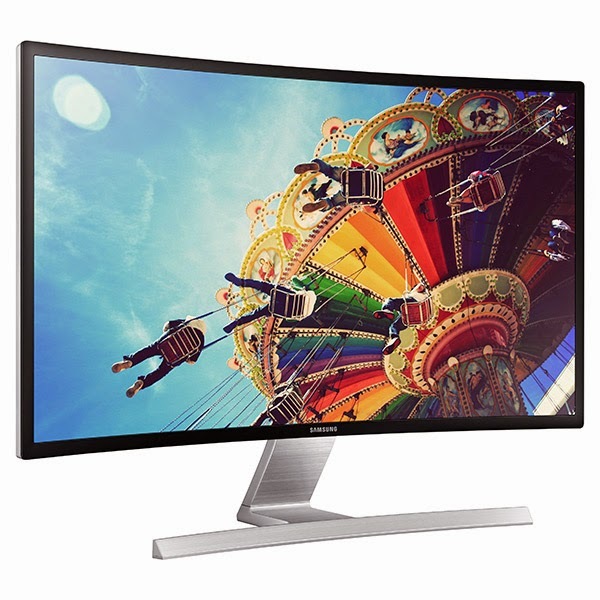 Samsung has announced its new 27" SD590C curved monitor, which will become available on October 1. Samsung engineers reportedly conducted research on the human eye to determine the monitor's curve radius. Because the display's edges are physically closer to the user's eyes, users don't need to shift their focus to look at the ends of the screen - a feature that Samsung bills as ideal for people who spend extended hours in front of a computer, such as gamers and office workers. The monitor features built-in dual stereo speakers and a special 'gaming mode' that detects changes in scenes and adjusts colour and contrast accordingly.